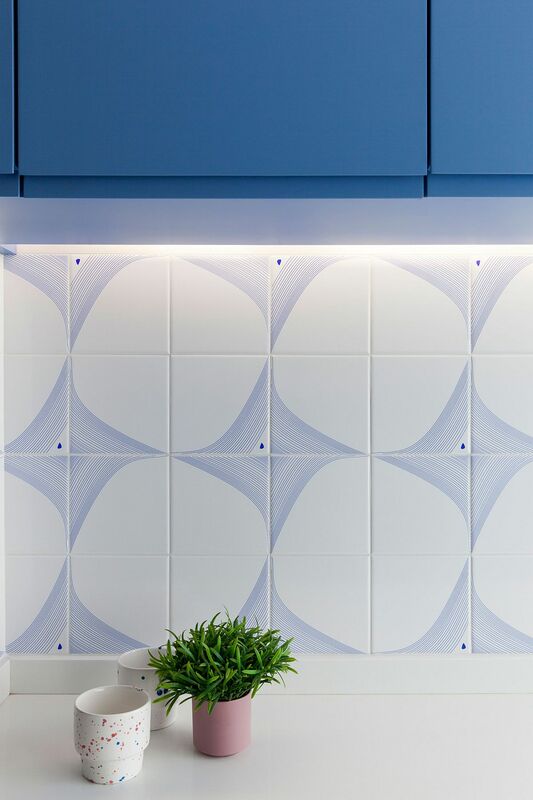 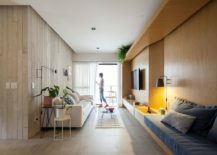 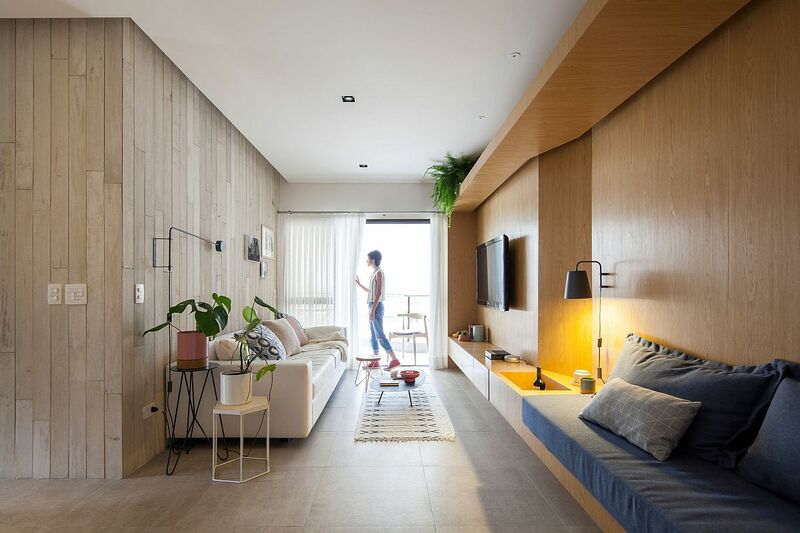 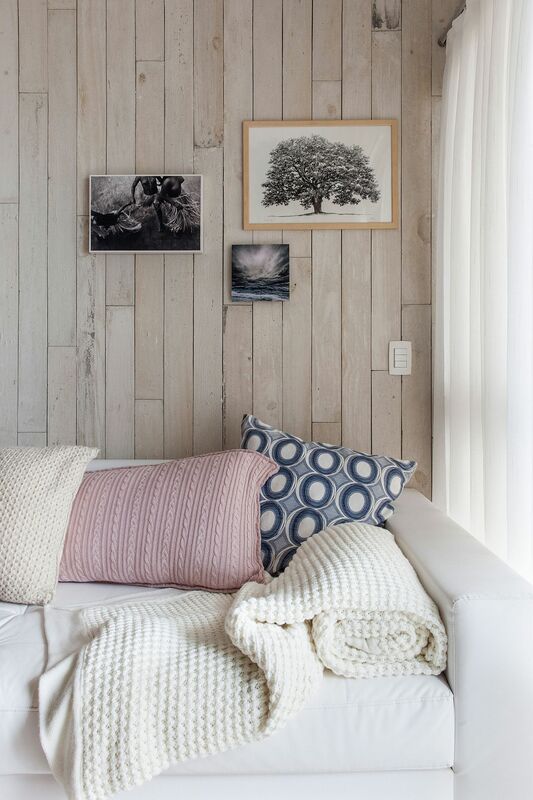 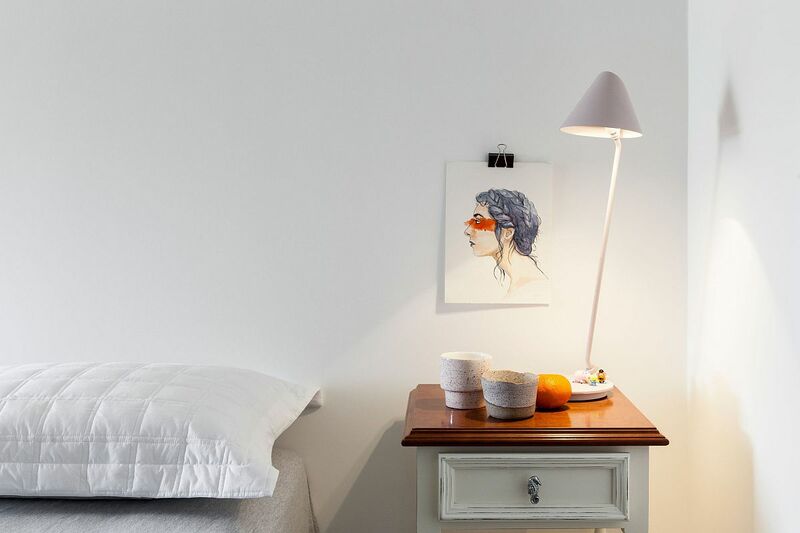 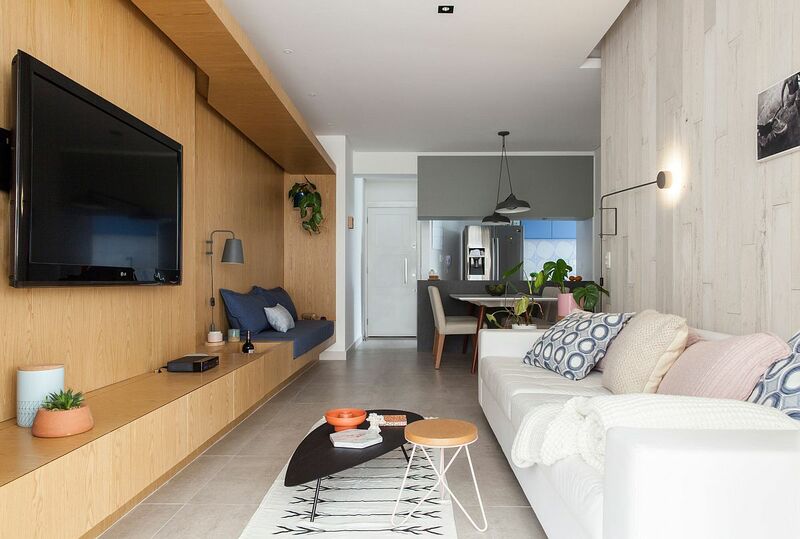 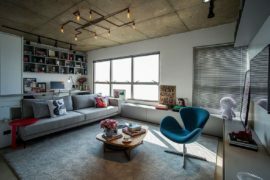 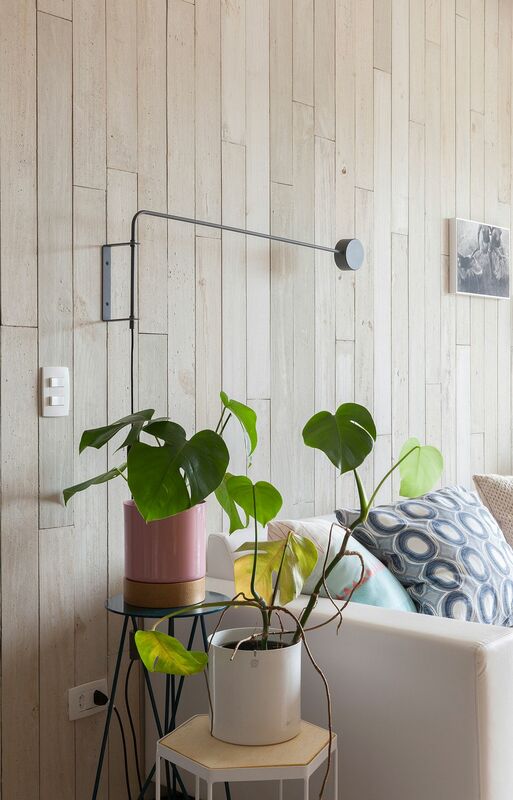 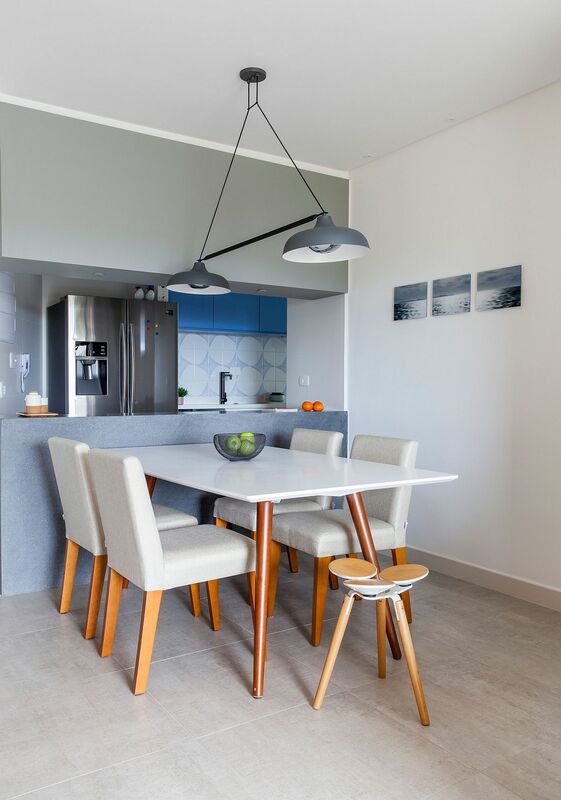 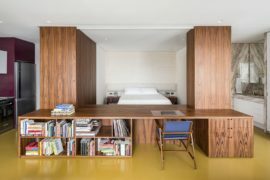 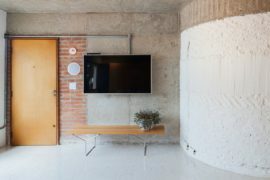 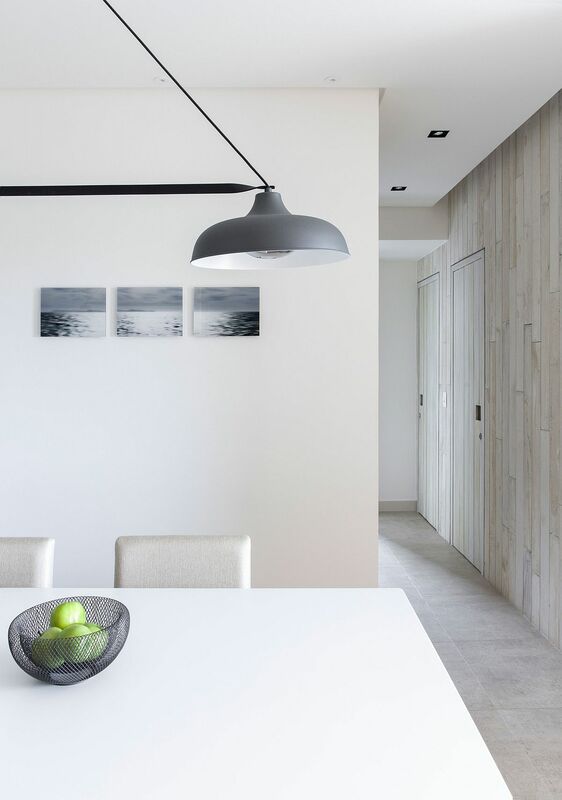 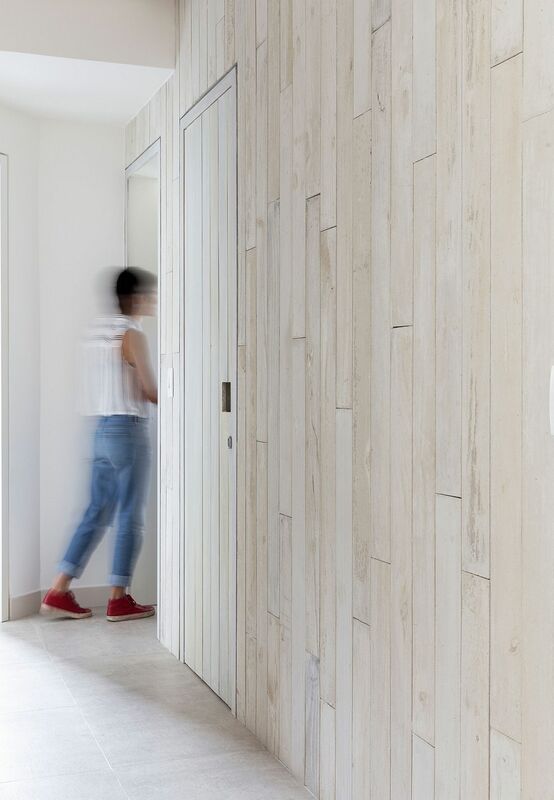 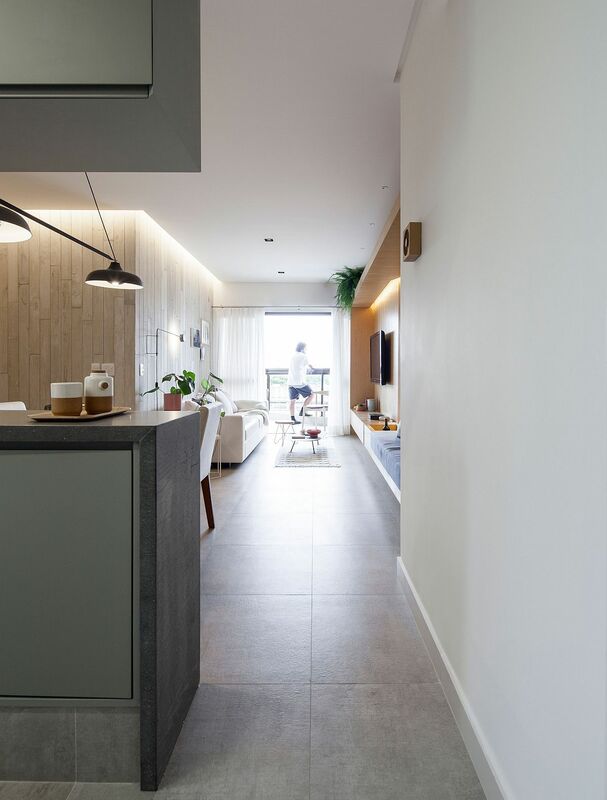 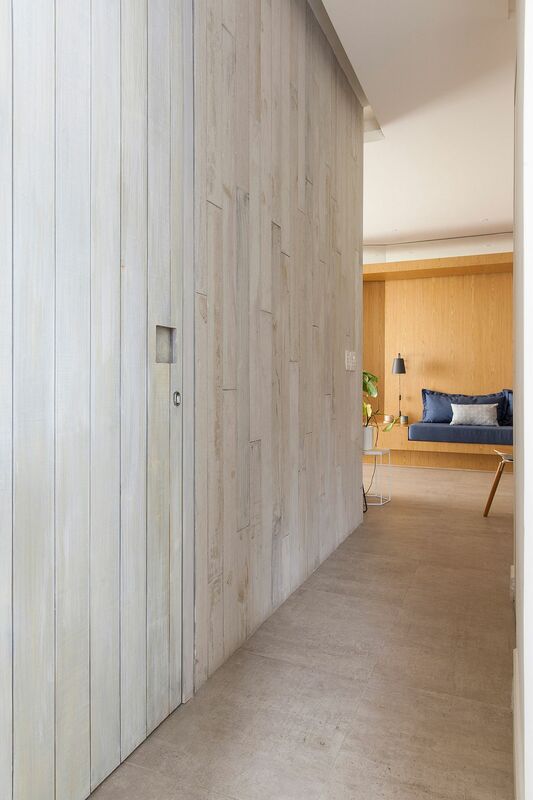 Creating a relaxing and energizing living environment for a retired couple in Guarujá, Brazil, Estúdio BRA use both color and texture to transform a previously uninspiring apartment. 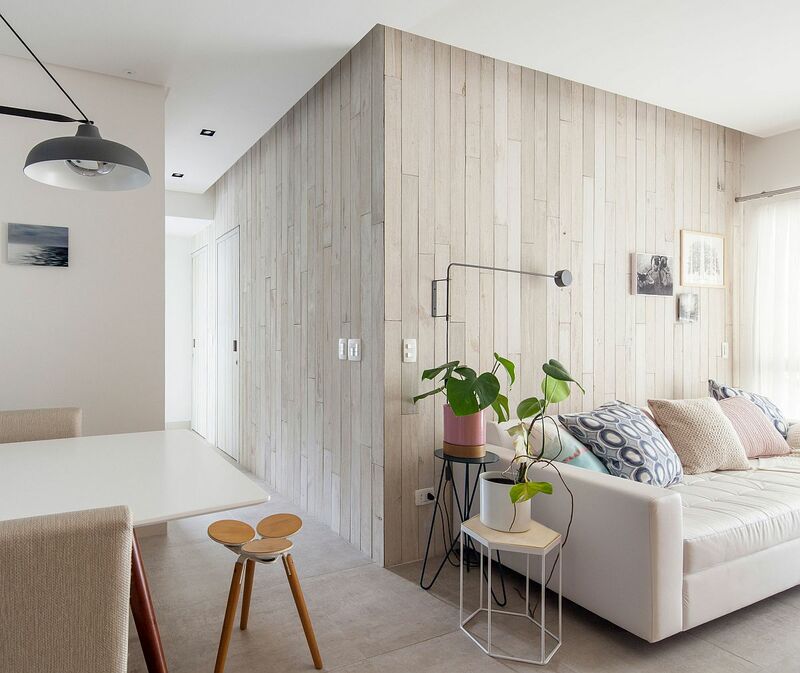 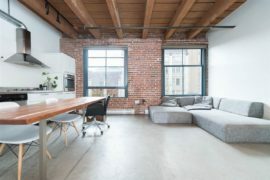 With an area of just 96 square meters, the apartment does not really overwhelm you with sweeping spaces. 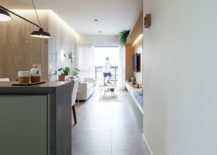 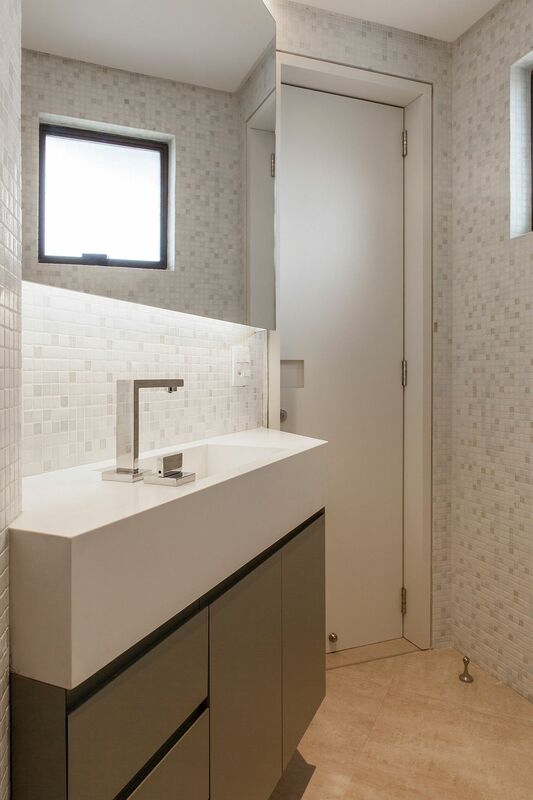 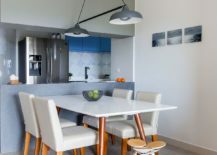 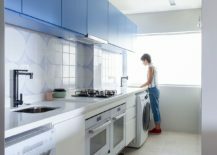 It is for this reason that the architects opted for an open plan living that contains the new kitchen, dining and living area placed in a linear and uncomplicated manner. 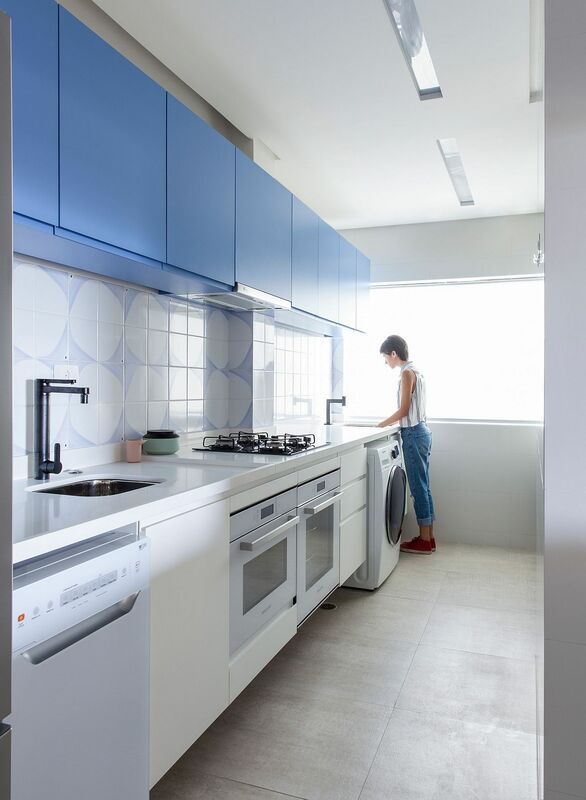 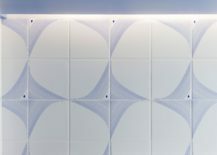 Different colors have been used for different rooms of the home to delineate space without putting in physical barriers. 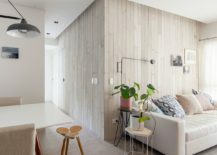 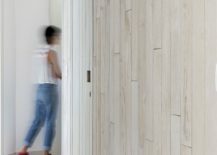 The wood at the multifunctional furniture designed by the architects marks the interaction between living and dining room. 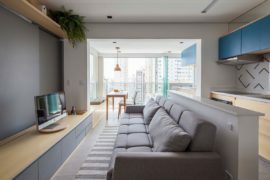 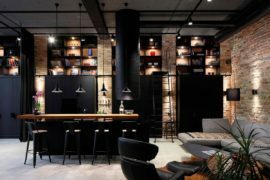 The furniture is support for electronic appliances, drawers, bar and living sofa. 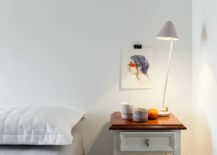 Already at night that furniture works as a large lamp.